The environmental organization, in endorsing the Democratic nominee, also criticized his Republican opponent Ron DeSantis for not mentioning climate change in a policy platform released mid-week. The Sierra Club endorsed Andrew Gillum for governor Friday, citing in part his position on climate change and clean energy and his selection of primary rival Chris King as his running mate. The endorsement, which dinged Republican rival Ron DeSantis's recently-released environmental platform, is another salvo in the increasingly central battleground both candidates are carving out over protecting the state's natural resources. 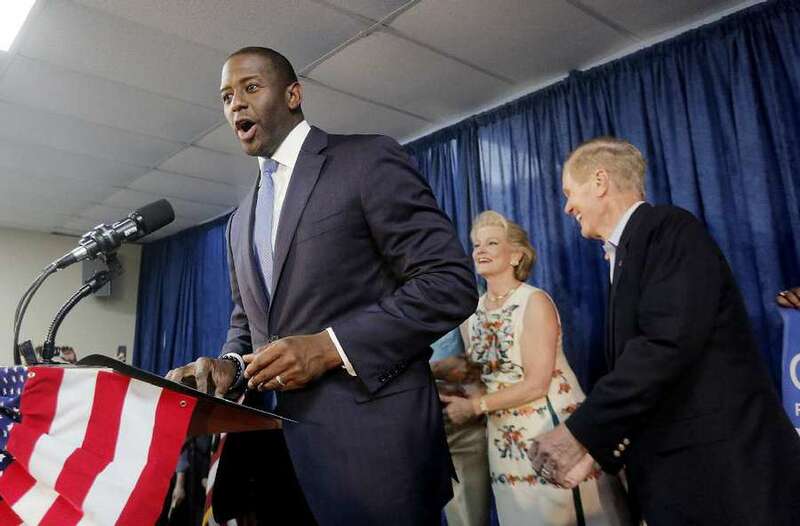 Gillum and DeSantis have each campaigned on addressing twin algae problems befouling the state — blue-green algae stemming from Lake Okeechobee discharges as well as red tide looming off the state's west coast —and criticized the other's voting records in Tallahassee and Congress, respectively. But in its endorsement Friday, Florida chapter director Frank Jackalone touted Gillum as the candidate who "will tackle climate change as the cause of rising seas, hotter weather, and stronger hurricanes, unlike Governor Scott, President Trump and his opponent who bury their heads in the sand and refuse to even talk about climate change." DeSantis rolled out his first policy platform on the environment two days ago, which outlined protecting the state's water by banning off-shore fracking and drilling, as well as preventing toxic algae blooms stemming from discharges from Lake Okeechobee. The plan also addresses tackling sea-level rise and and centralizing water quality enforcement under a governor-appointed head of the Department of Environmental Protection. In a campaign stop in the Everglades Wednesday, DeSantis also touted his relationship with President Donald Trump as an asset in securing restoration funds. But Jackalone and other environmental groups took issue with the lack of any mention of climate change in the Republican nominee's plan. "DeSantis' 'environmental plan for Florida' released just this week is filled with empty promises, few facts, and fewer details, and he omits any reference to climate change, clean energy, or the State's desperate need to manage growth again," Jackalone said in the statement Friday. "His plan to address the State's water crisis by forming a Commission to study red tide is irresponsible; immediate action is needed by the next governor to protect Florida's coastal tourism economy that has been crippled by killer red tide and other types of toxic algae." DeSantis tweeted shortly after the organization's endorsement was announced, attacking Gillum's "disastrous" record on environmental issues — though he did not mention the news directly.